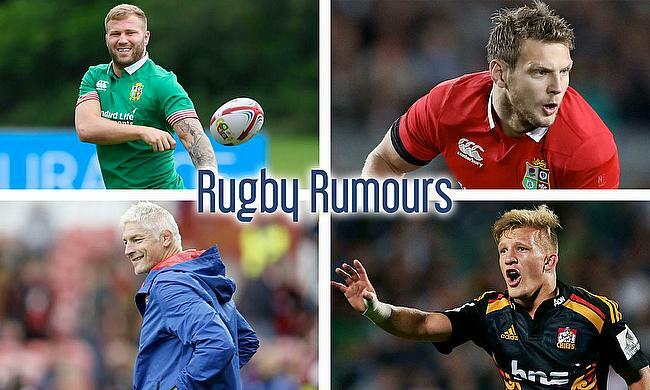 Ross Moriarty has come back from his stunted British and Irish Lions tour as a wanted man.... in the best way possible. The 23 year-old is having to deal with clubs all across Europe showing interest, plenty of Pro 12 sides along with Leicester Tigers and Wasps. Another Wels international who had a tidy tour away to New Zealand is Dan Biggar, the 28 year-old could look to the Aviva Premiership for future prospects. Northampton Saints aren't the force they have been in recent years, but their ascent to the top of English rugby could be helped with the experienced Welshman. There has been much talk about the New Zealand wonder-kid Damian McKenzie currently tearing it up for Chiefs in Super Rugby, and his links to a move to Leicester. With the talent on display from the youngster it's clear why New Zealand would want to keep him, but there's plenty of financial gains to be made here in Europe. Bath's Director of Rugby Todd Blackadder has slammed the rumours surrounding Leigh Halfpenny's move to the Rec. Stating 'We're not in that space. There's no truth to those links at all.'.... leaving the Welsh international full-back's options looking rather more limited.